Create a candle holder using orange and cloves. What to do with orange peel? 1 orange; 1 marker; 1 knife; 1 cookies mold; 1 candle; 1 spoon; cloves. 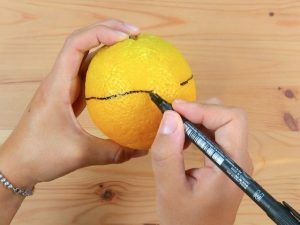 Use the marker to draw the middle and with a knife cut the orange. 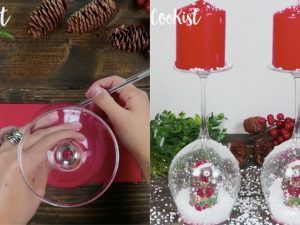 Empty it using a spoon and cut with the cookies mold. Decorate with cloves and fill with a candle. Cloves; Orange or tangerine; cinnamon. Insert the cloves into the orange and tangerine peel. Then put all in a basket and add cinnamon. A natural way to profumate your home.